The Microgaming group belongs to a single family and is based in Durban, South Africa. It was founded in 1994 and is one of the oldest casino game developing companies in the world. It is also one of the most prestigious. The game selection impresses with over 850 games from all genres: mechanical slot machines, video slot machines, table games, video poker, scratch cards, bingo, keno, and there are even live games managed by real dealers. The impressive progressive jackpots regularly exceed one million euros! 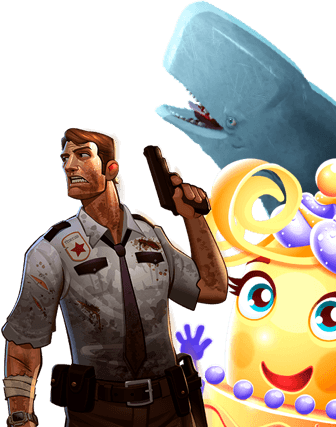 There are many cult games in this selection, such as the most popular progressive jackpot slot Mega Moolah, Thunderstruck II, Retro Reels: Extreme Heat or Alaxe in Zombieland. There are also games inspired by pop culture, such as the movies Terminator 2 and Jurassic Park, the video games Hitman and Tomb Raider and the TV shows Battlestar Galactica and The Osbournes. You can enjoy the games from this huge selection in one of the following online casinos. there are many very high progressive jackpots that are paid out immediately and in one instalment. there are not many games inspired by pop culture, considering the size of the game selection. The developer Microgaming has a gaming license from the Gambling Supervision Commission of the Isle of Man, which proves their seriousness and professionalism.